2018 sees a enthusiastic return to Como in the Italian Lakes. This Golf Tour operates as a group holiday with wives or partners most welcome. Golf is balanced with social events. 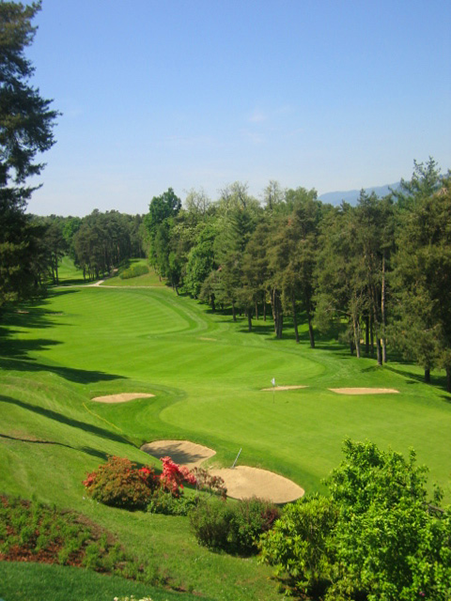 As Club Secretary David Barker is delighted to organise and accompany the group to introduce them to his favourite Italian golf courses, with which he has had an warm, longstanding and personal connection. 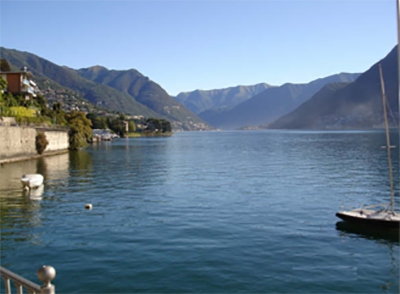 Flights can be arranged as group, via Heathrow, with a dedicated luxury coach transfer from Milan (Malpensa) airport to Cernobbio-Como and the chosen hotel. Accommodation is booked on bed and breakfast terms, with Lunch and Dinner arranged each day at the Golf Club or the Hotel. A private luxury coach is retained to transfer the group to and from each venue, on a daily basis. It’s not all golf – in fact one previous group member commented that the trip was basically a very good lunch and dinner interrupted by a game of golf each day! Many of the courses are close to towns where the coach is utilised to transport non-playing partners into the centre for sightseeing or shopping, returning after play to rejoin the group for dinner. 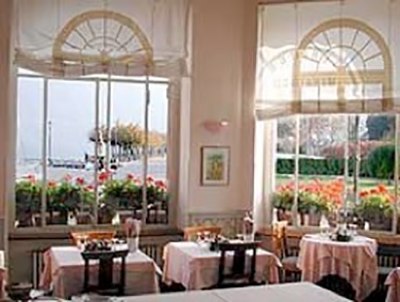 Sunday is a non-golfing day when by tradition the group takes the morning steamer down the lake to Bellagio for lunch in a favourite trattoria. On golfing days, play is organised simply on a friendly and informal basis usually following an al fresco lunch on the terrazza of the golf club. Coach departs Hotel for Golf Villa D’Este at 11:45. We then have lunch at sulla Terrazza followed by some more golf. 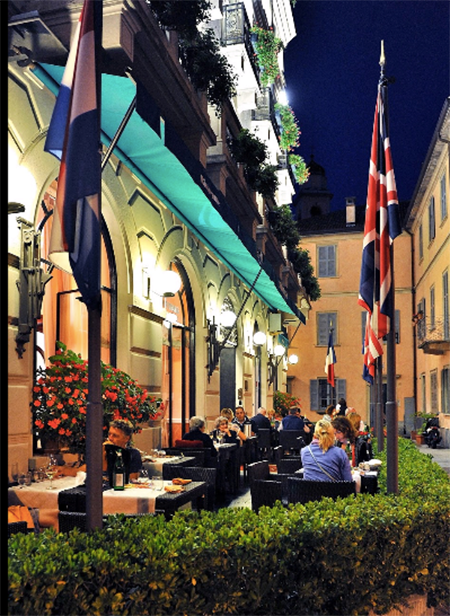 Once finished we return to Hotel Miralago via coach to have dinner at Cantina Frasca ristorante, Cernobbio. Coach departs Hotel for Menaggio Golf Club at 10.15, once the golfing is finished the coach returns to our Hotel ususally in the early evening. The evening dinner is at Hotel Miralago. Coach departs Hotel for Golf Villa D’Este at 11.45 a day of golf is followed by coach return to Hotel Miralago and dinner at Villa D’este Hotel. 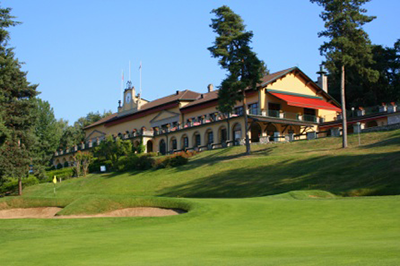 Coach departs Hotel for Varese Golf Club at 11.00 we have lunch at Sulla Terrazza followed by golf and then return to the hotel in the late afternoon. Dinner is at a good restaurant in Cernobbio. Coach departs Hotel for golf Villa D’Este at 11.45 with lunch at at Circolo. This is followed by golf at Villa D’Este with a return to Hotel Miralago.